Ah, well NOW I do…. Another fun tour, another glorious day in the capital city, and another great runner with in depth questions and a keen interest in the city’s history! 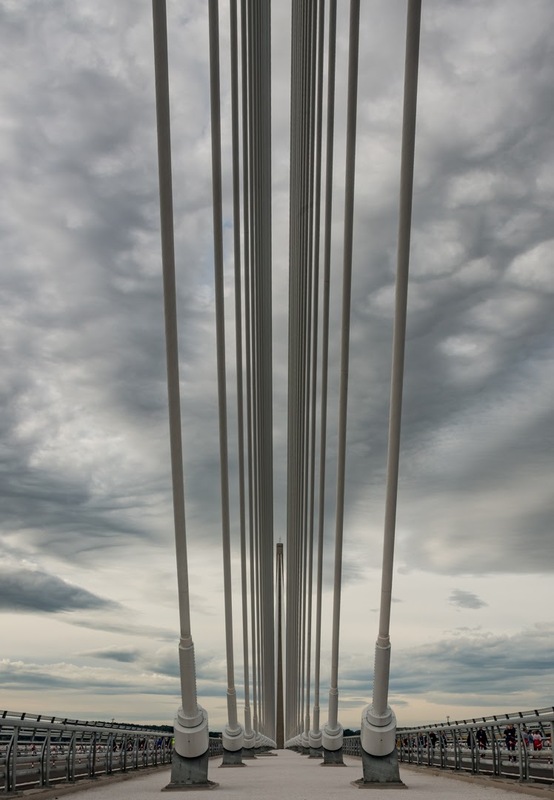 Who also happens to be assessing the tour for VisitScotland…! 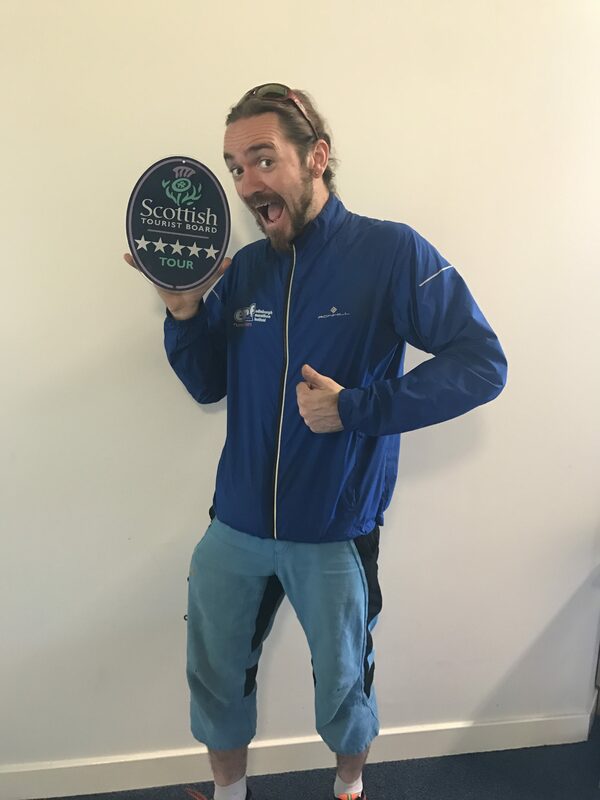 It’s the second time we’ve had an assessor on tour, and the second time it’s taken me by surprise, and I’m delighted to say that for the THIRD TIME IN 3 YEARS, EMF Running Tours have been awarded the highest accolade in Scottish Tourism – 5 Stars from VisitScotland! 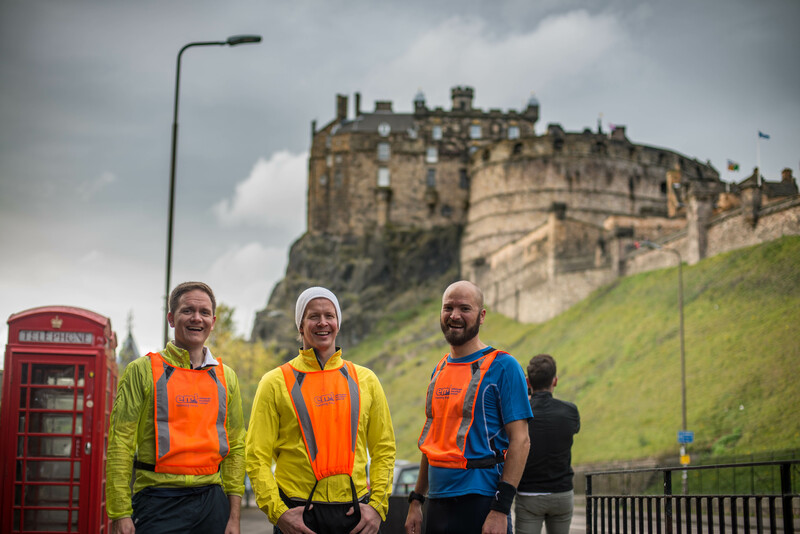 Huge thanks to the team behind the scenes, our gregarious guides, and all of the wonderful visitors who come and run with us, allowing us to keep offering EMF Running Tours as one of the best things you could possibly experience in our fair city! And why not add a wee run in beforehand? On the 25th of January, why not join us on a running tour to find out a bit more about the bards’ influence on and exploits in our fair city. 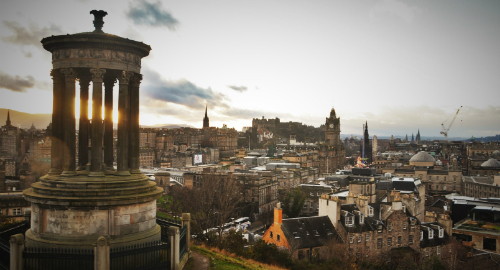 We’ll be jogging for around 90 minutes, with frequent stops for stories, taking in the hidden sights that the city has to offer, and learning about the famous bard, his contemporaries, and other intriguing characters from the worlds’ first UNESCO City of Literature. Come join us on January 25th at 6pm, get your ticket at emfrunningtours.com/book. In the EMF Running Tour’s debut year, I accidently ran a marathon (if you missed it, the story is here), and this year, I’ve smashed another milestone! Yep. For someone who never intended to be a long distance runner. Now, I didn’t do this all in one go (I like having knees), but looking at the number of bookings we’ve had over the past 12 month, and doing the maths on the average tour length, I figured out that I must have run over 900 miles this year. 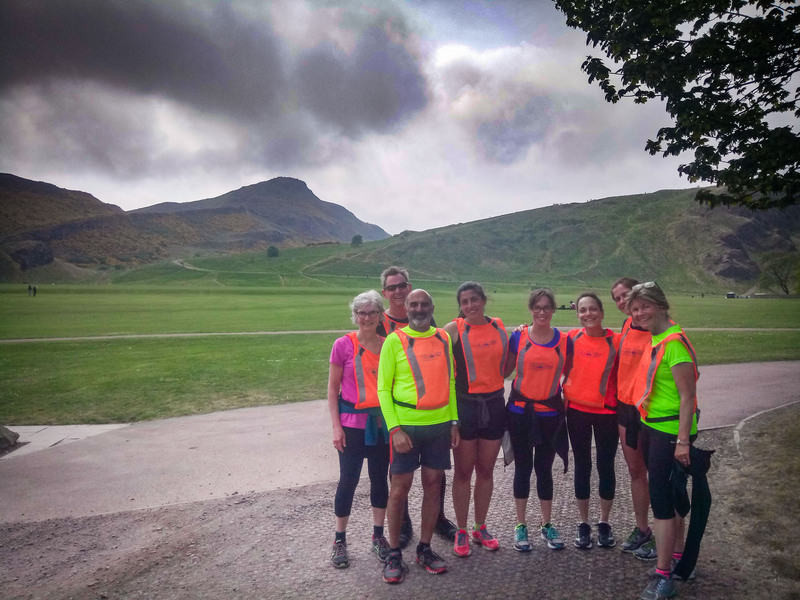 It’s been a tremendous year for the team here at EMF Running Tours, we were granted the highest accolade possible by the Visit Scotland (blog post here here), and we were joined by hundreds of runners from all over the world, from as far away as New Zealand, to as close as my upstairs neighbour! 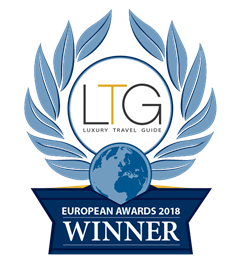 Last year, we were awarded the Cultural Tour Operator of the year by the Luxury Travel Guide, and this year we’re continuing our streak by being awarded the title of “Unique Tour Operator Of the Year.” Being recognised by such influential international organisations is a huge compliment, and we’re very happy to shout about this new accolade! It’s Christmas time here again in Edinburgh, and what better way to celebrate than with a Yule Jog! Jog…. Log… Get it? Come join our guides on a gentle jog through the city on Thursday December 21st at 8pm, seeing it all lit up from high up, and finishing up in the Christmas Markets with a cup of hot mulled wine! And what festive feast would be complete without a cup of mulled wine? Our tour will finish in the Christmas markets for a cup of spiced, hot wine, surrounded by all the excitement of the market atmosphere. 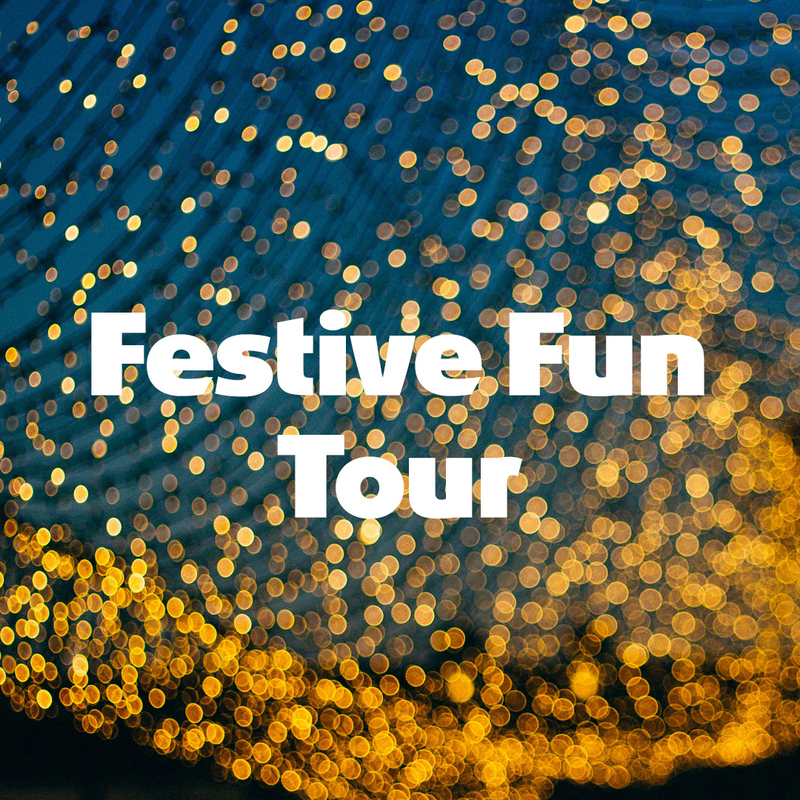 To book tickets, head over to our BOOKING page and select the 8pm tour on Thursday the 21st of December, and we’ll see you then! The Celts, some of the earliest settlers in what is now Scotland, had a series of festivals throughout their calendar, and 30 years ago, we started celebrating them again here in the city. 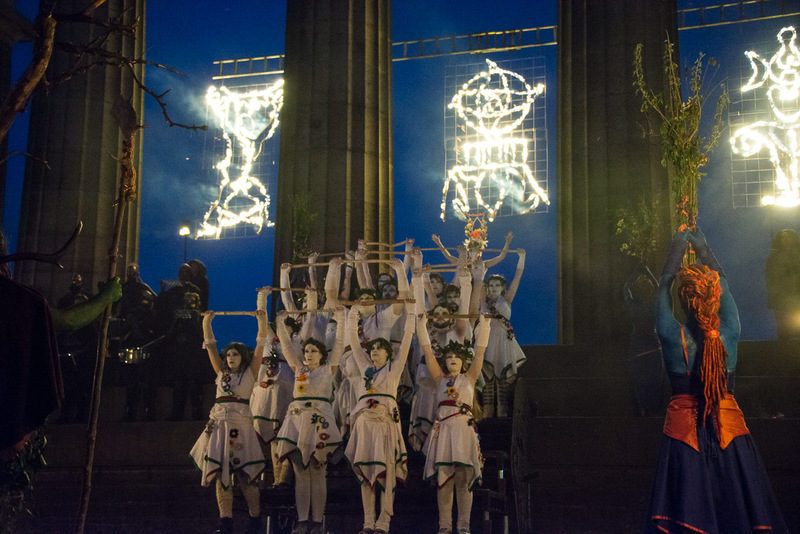 Partly to revive old traditions, and partly to protest Margaret Thatcher, a group of performers snuck up Calton Hill and put on a show. 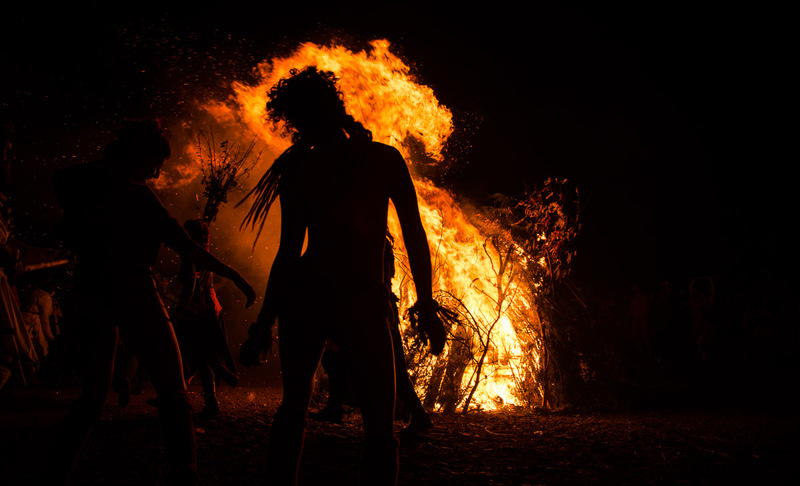 They had such a good time that they did it again, and again, and again, and now, Beltane Fire Festival, is one of the biggest fire festivals in the whole world. Every year, around 300 performers gather on Calton Hill, in all manner of fantastic costumes that they’ve made for themselves (or sometimes just body paint and their pants) to celebrate the new life that summer brings to the earth, the May Queen reviving the Green Man, his elaborate dance to entice her, to bring about the new season. Then, as the seasons started to change into winter, again the city is set alight; for the past 15 years every halloween night the city has been host to Samhuinn Fire Festival. 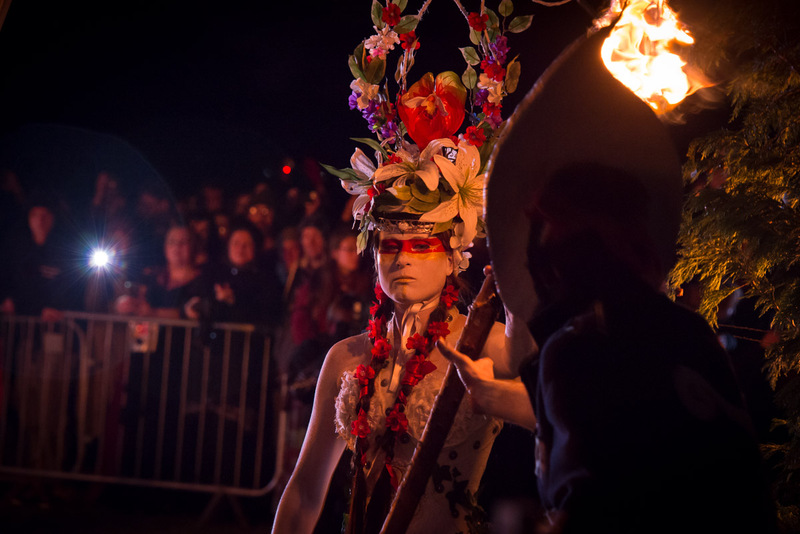 What started as a fundraiser for the Beltane Fire Festival in April eventually grew and grew into a huge spectacular, with hundreds of performers winding their way down the royal mile to a huge stage setup. This year saw around 9000 people come to witness the biggest Samhuinn ever, with fire everywhere, acrobatics, and enough drums to blast out even the hardiest of ear drums! Some of the drums were on fire as well… Because… Well, why not. RTJ, who has been involved with the Beltane Fire Society for over 7 years now, was one of the Blue’s for this years festival. “The Blues are the keepers of the ritual; the guardians of the story, if you like. Anyone who knows me, or has ever been on a tour with me, will know how importnat stories are to me, so being one of the group in charge of making sure that the festival has a coherent story was a very exciting prospect for me! It’s also a huge honour, no one gets to apply to be Blue, you are chosen, and it’s a real mark of respect and indicative of how highly you are regarded within the community to be chosen as a Blue. It’s sort of like tribal elder meets artistic director, really! If you’d like to learn more about the festival, check out the Beltane Fire Society website, or feel free to email RTJ to get a bit more info about the Blue perspective [email protected] and check out some of the photos and the ace video that the clever photopoint guys put together at the Beltane FaceBook page! Get in touch via the website here to talk to us about your group requirements. We can cater for groups of up to 45, but will never send out a group with more than 15:1 with the guides, as we firmly believe that for the whole group to enjoy themselves, you need to kepe the group small and intimate. 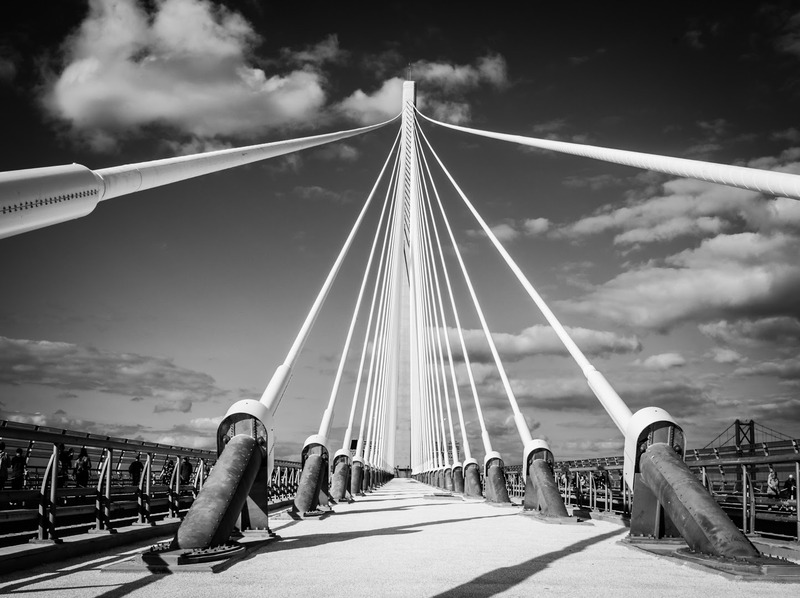 Looking forward to welcoming you to our fair city! Gunpowder, Treason, and Hill reps…. 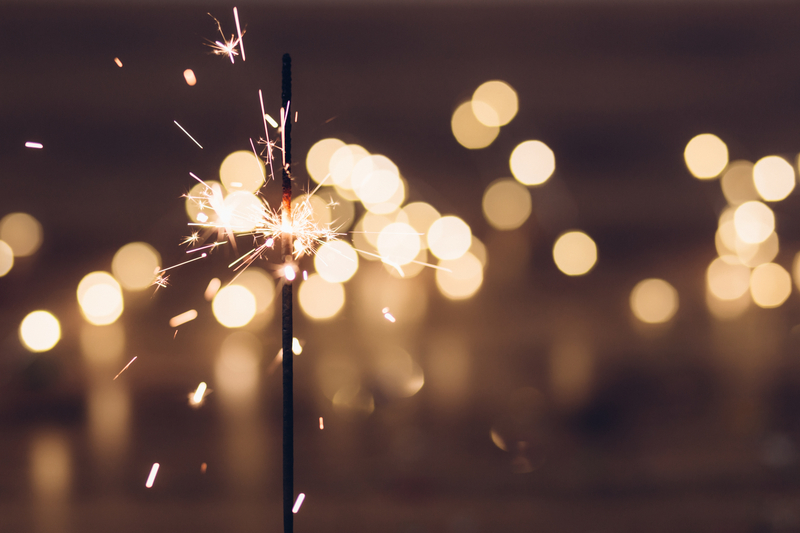 Ooooh, it was a chilly evening on the 5th of November, when a few intrepid runners braved the winds to come out and watch the fireworks with us on our very special Bonfire Night Tour. There was a great documentary about what might have happened if Guy Fawkes had succeded HERE which is well worth watching if you’re curious! 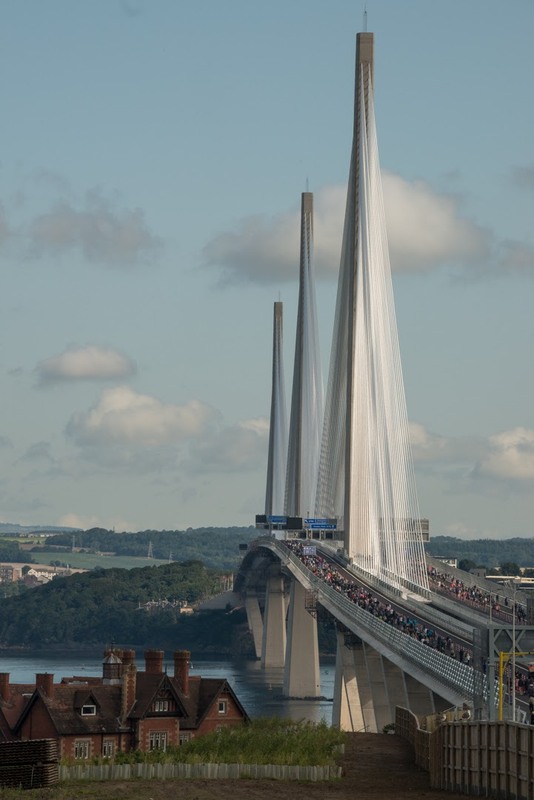 The fabulous, world record breaking Queensferry Crossing opened this month, spanning almost two miles over the Firth of Forth, to the north of our glorious city, and RTJ was there to be a part of the once in a lifetime opporunity that 50,000 lucky people had, of walking over the bridge ahead of its official opening ceremony. 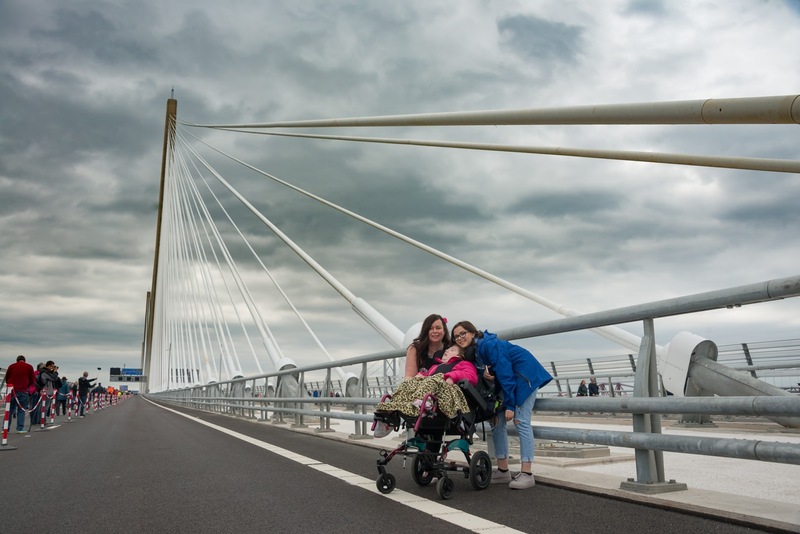 “Over the first weekend of September, I was lucky enough to be a part of the team delivering the Queensferry Crossing Experience to some 50,000 people who were successful in the ballot. 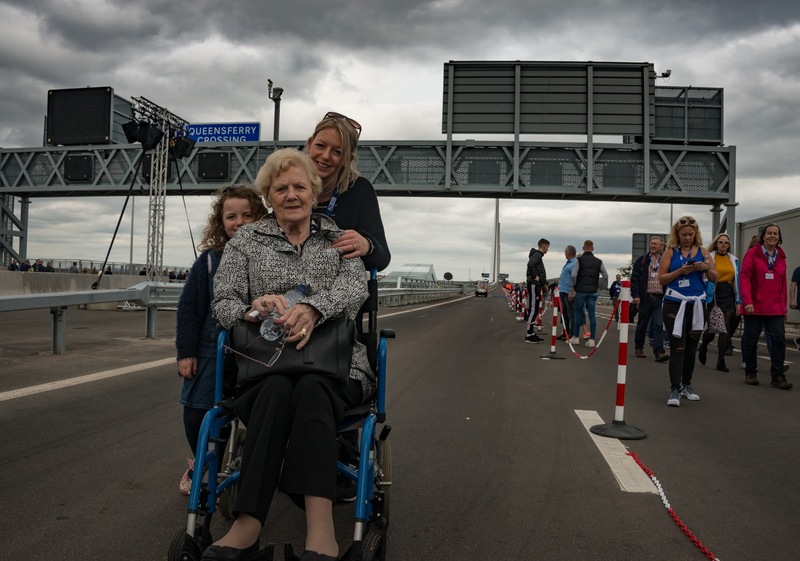 Hearing that over 250,000 people applied to cross the bridge was no surprise, as it has no public footpath and this was going to be the one chance people were going to have to get to walk on it. One of the utterly delightful things about the whole weekend was hearing people’s stories – why they were there, and what it meant to them. I spoke to all manner of people, from retired world leaders, to excited children, and everyone had a story to tell. I spoke to one of the volunteers who was a retired engineer that had worked on the original road bridge; I helped three generations of the same family make their way over in honour of their recently deceased patriarch, I escorted a very special visitor who’s ill health very nearly prevented her making it to the event, and I shuffled about a hundred hungry volunteers to their lunch breaks! More of RTJ’s pictures from the day will be popping up on his Facebook page at Armandary Photography in the coming weeks, so keep an eye out there to see his perspective of the event! Just a small amount of panic sets in at hearing these words… It’s my second tour of the day, and my brain starts racing. Did I give it my all? Was it as good as all the other tours I’ve delivered? I know that I enjoyed the run, the pace was good, the chat was fun, the stories were fluid, relevant, and entertaining, but was it good enough? Then the waiting game, that horrid period of time when you’re anticipating the worst, as your brain tells you everything you could have done, should have done, shouldn’t have done, and every possible outcome. 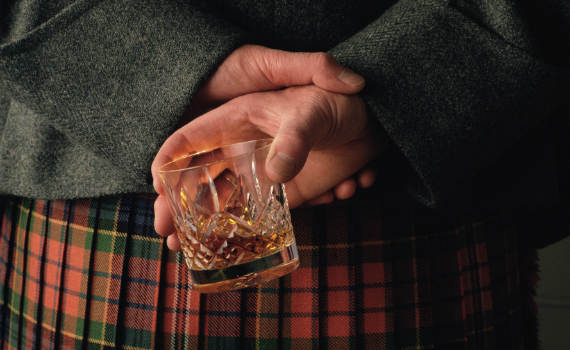 An overall rating of 92%, giving us a 5 Star rating from visit Scotland, the national tourism board.